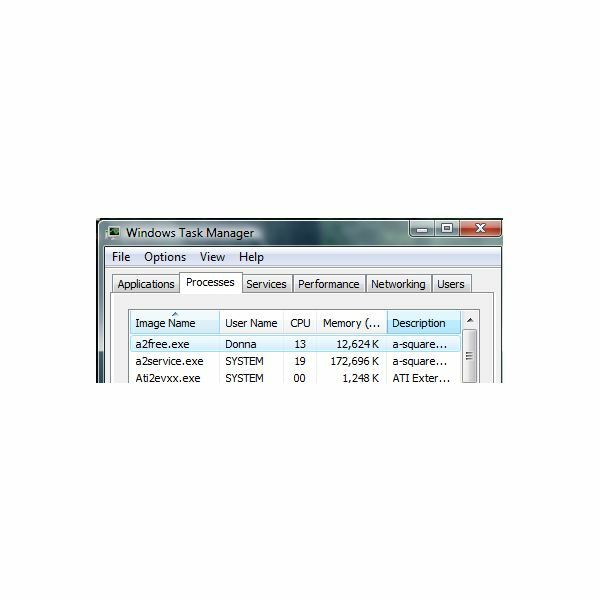 memory usage. MBAM’s quick scan finished scanning in 2 minutes and 27 seconds a total of 89,068 files while A2’s quick scan is really quick that if finished scanning in 34 seconds, a total of 507 files. When I let both program scan the system drive, A2 has scanned 168,377 files in 29 minutes while MBAM finished in 1 hour and 24 minutes scanning a total of 184,065 files. because I prefer to manually scan the system for updates. Some might think it is false positive by MBAM but you should understand that there are malware that will disable security center that MBAM will not be able to guess, if you or an infection is the cause why it is disabled. The free editions of MBAM and A2 do not have real-time protection so I put to test the on-demand scanners using 100 positive malware samples. Note: You will find in below screenshots that each malware sample have unique MD5. Legend: X means detected. MBAM is able to detect 58 out of 100 malware samples while A2 Free detected 92. [Note: The screenshot shows it detected 93 because of the sample file (filename: sexvod.exe contains Player2.exe and SexPlayer.exe) is self-extracting file containing 2 files]. MBAM is able to detect 2 infected registries that A2 did not detect. The infected registry is located in HKEY_LOCAL_MACHINE\SOFTWARE\Microsoft\Windows NT\CurrentVersion\Image File Execution Options\ for setup.exe and Install.exe. 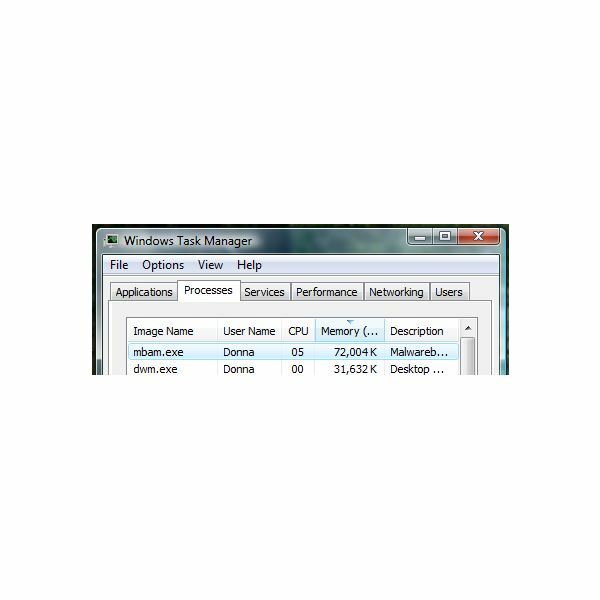 This registry key is often being taken advantage by malware or rogue installer because this particular registry key allows the redirection of the execution of one application to another. MBAM failed to detect malware samples with .pdf, .swf, .zip and .rar file extensions. I put to test the removal engine by MBAM and A2. The program should be able to remove or delete what their scan engine has detected. MBAM scan engine detected 58 out of 100 samples and 2 registry entries which it successfully removed (although a system reboot is required). A2 Free’s scan engine has detected 92 samples out of 100. Like MBAM, A2 successfully delete all of the detected items but no reboot is required. One of the file that A2 says it cannot remove is actually deleted already. The said file is the one of the malware sample that is self-extracting file containing files (see Malware Detection section above for the said details). Both programs are offering the best options and features but it’s quite obvious that the detection (scan engine) by A-squared Free out-performs Malwarebytes’ Anti-Malware, but the malware removal engines offer almost identical performance. These are excellent products and, as they are free, there is no reason not get both! 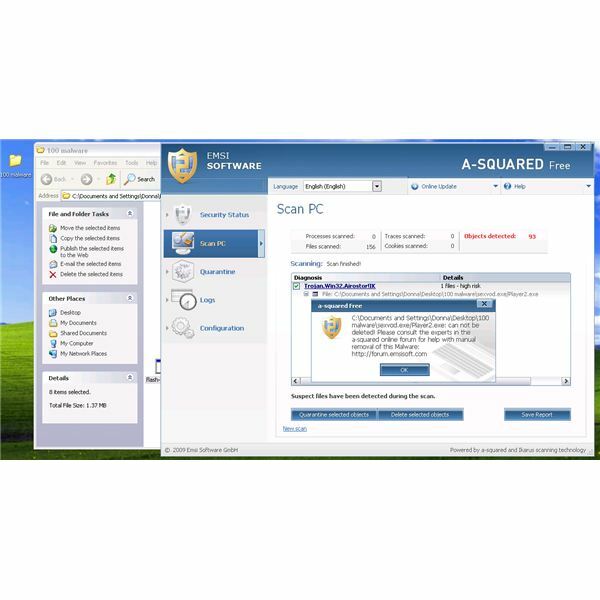 Free on-demand scanners are often recommended when a PC is infected and the resident anti-virus protection has failed to stop a threat. Let’s find out which of the two popular free malware scanner and remover is better.